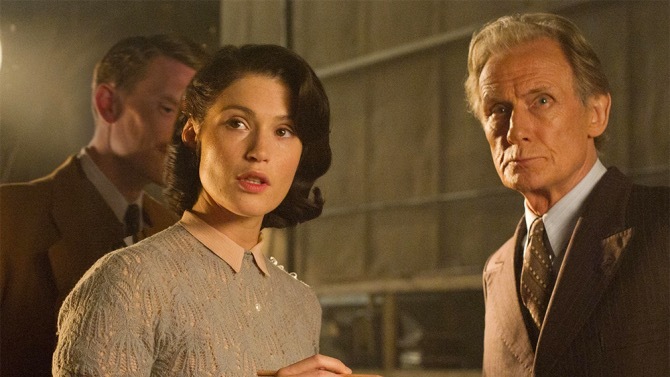 Film review – Their Finest (Lone Scherfig, 2016) | Cinema, etc. 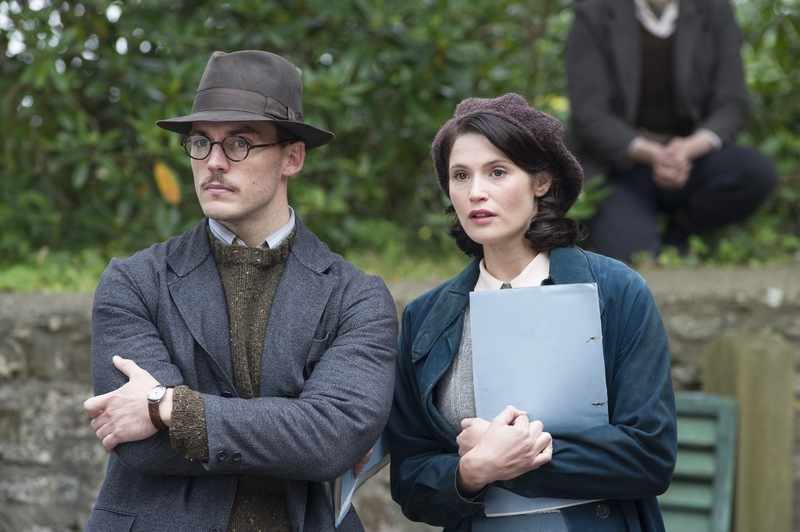 You may look at the premise of Their Finest and, coupled with the cast, assume that the film is a lighthearted romp with its aim directly at those to whom World War II is a trip down memory lane rather than a history lesson. It’s an assessment that isn’t wildly wide of the mark, but there’s more substance here than meets the eye. The story is about a woman rising up against industry stereotypes and an oppressive partner to become a great screenwriter for propaganda war films. That woman is Catrin Cole (Gemma Arteton) and the film-within-a-film depicts two sisters’ efforts in the miraculous evactuation of stranded Allied troops from Dunkirk beach. Central to this film is the drunken Uncle Frank, set to be portrayed by Ambrose Hilliard (Bill Nighy), whilst the film is co-written with Tom Buckley (Sam Claflin). Other minor roles include Jeremy Irons as the Secretary of War and Richard E. Grant as a studio executive. Despite a feeling that a romantic subplot was going to undo all the hard work put in by a female lead being expertly guided by a female director, it was a wise choice to make her feelings for co-writer Tom serve a purpose to inspire Catrin’s career rather than making her career integral to her romantic endeavours. In this way, her feelings towards her co-writer is simply a character-building device. There was a brief moment where I felt they were throwing away a really interesting character in her faux-husband Ellis Cole (Jack Huston). This is a man who has been injured in a previous battle and thus cannot join the war effort, nor can he earn a consistent living to support himself and Catlin. His failings are that he cannot bring himself to accept his partner’s financial support. In 2017 this is likely to stir an element of frustration amongst the feminist cinema-goers, which is a perfectly reasonable response given this remains such a hot topic. However, if one really tries hard to imagine the emotions of a man suffering from inadequacy-related depression in the height of World War II, I can’t help but feel that his side of the story wasn’t explored enough. His eventual lack of faithfulness was the easy route out of a cul-de-sac. Bill Nighy’s role was satisfyingly gripping. His portrayal of an older actor struggling to be taken seriously following earlier successes is something that must resonate with many in the industry. Nighy is consistently and effortlessly funny in every role he tackles and that must, in an unusual way, be quite restrictive for his role choices. Here he is very much light relief but he plays a pivotal role in the final act when it comes to reasoning with a depressed Catlin. It’s a heartbreaking scene that really stands out as a centrepiece for both character arcs. For all the accuracies in the costumes, scenery, colour choices, music and tone, the whole film would be nothing without an excellent performance from Arteton. This is a role that is specifically targeted to resonate with women who have had to rise up against criticism from men at home and at work throughout their lives. From Gemma Arteton all the way back to novelist Lissa Evans, the women involved with bringing this tale to life have left their mark. Women creating high quality cinema was a surprising success in 1940 and it’s a shame that the industry still feels the same way almost eighty years later.